BAHAHAHA!! Best one in a long time! 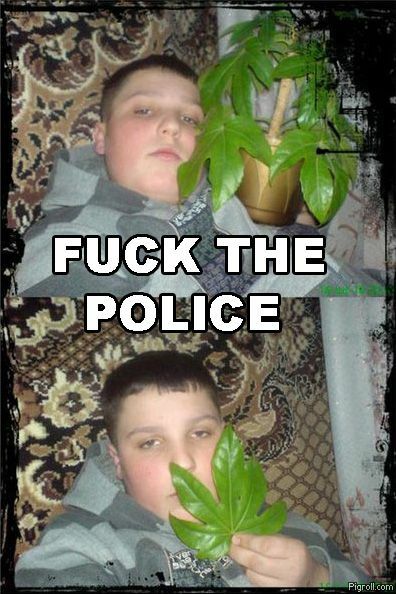 I wonder if fatty here knows that's not marijuana. HAHAHAHA I would like to see a video of him smoking it too! What a dumb dropkick, I believe you are allowed to have two plants for medical reason in some states. He's probably got depression because he's so overweight and has never been laid, So he needs weed. Cretin. #1952. Yea cheers bro. I was also gonna say that but forgot, Was getting blazed at the time haha. I use to be a stoner, Until i took a arrow to the knee. Now i'm a crackhead. Over-used, unfunny and gay, Crazykiller. Yea i know pretty gay joke. Over abused joke is what you mean.